Late Shri. Balasaheb Jangale was well known writer/poet from Belagavi and spent almost half of his lifetime in collecting Marathi Saint (Sant Sahitya) Literatures and putting it in simple words in his creations so that common man can understand them and bring it in their day-to-day life. The website called ‘www.amrutkan.in’ was recently launched to showcase the creations by Late Shri Balasaheb Jangale. All the books of poetry which are published and available in market are converted as e-books and are freely available to the readers on this website. It is an honest attempt to bring his great creations in front of the world and let the readers/devotees utilize it to the fullest. The Saint literature is becoming very rare and costly nowadays and that is the reason he took interest into this area. Saint literature is very important and it cannot be counted in terms of money and thus it is like “Amrut Kumbh” in human life. He has written and published more than 12 books of almost worth Rupees 11 lakhs and distributed these books free of cost or at very less price to public. He has serviced for more than two decades in this field. He has published more than 2000 copies of “Shri Dnyaneshwari” and distributed free of cost at “Shri Dnyaneshwari Parayan Sohala”. 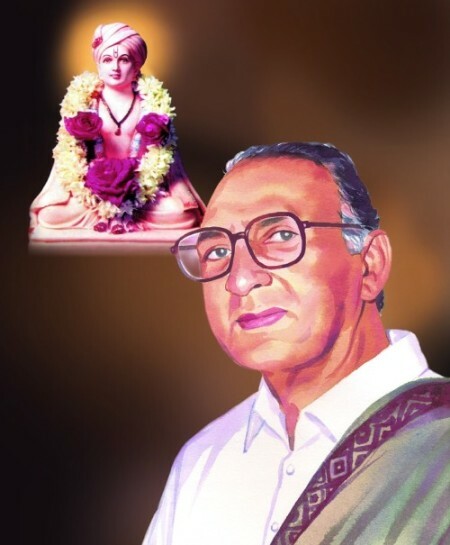 Apart from the writing and publishing, he served in several organizations as founder or member such as “Shri Ramakrishna – Vivekanand Sevashram”, “Shri Dnyaneshwari Parayan Seva Mandal”, “Shri Swami Samarth Aradhana Kendra”, “Handicap Association Belagavi”. He has not only written the Prose, but also done poetry and written more than 2000 devotional songs and published in two versions. Great books on saint literatures. and most importantly they are free to read online or download… !